Update: Changed my mind. This is my favorite counter tweet. Former FBI Director James Comey was apparently wandering through a forest when Attorney General William Barr shared a summary of Robert Mueller's Russia report with congressional leaders on Sunday. Social media users agreed with him, including a few familiar names, but they had some questions he probably wasn't expecting. One by one, people turned his tweet around to pose questions directly to him and the questionable choices he made at the FBI. Fox News host Sean Hannity's inquiry pops up first. Like "Why did I illegally leak material to start this investigation?" Is one of them “When am I going to jail”? 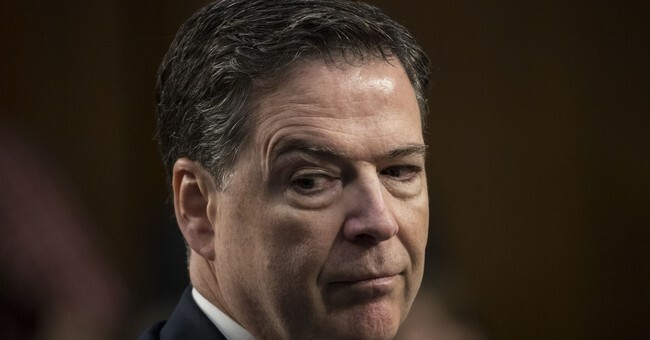 Comey first became a source of controversy when, during the 2016 presidential election, he decided not to pursue charges against Democratic nominee Hillary Clinton, though he found her to have been negligent while using a private email server as Secretary of State. That decision angered conservatives. It was his next move that angered liberals. Eleven days out from the election, Comey announced the FBI would be reopening the email investigation. In other words, bad news for Hillary, who was hoping voters would forget all about it. President Trump kept Comey around until May of 2017, when he fired him. Before his departure, Comey had written notes during some of his private conversations with the president because he was concerned by Trump's behavior. He "leaked" a few of those memos to Daniel Richman, a law professor at Columbia University. Trump claimed that Comey broke the law by leaking the memos because a few of them contained classified information. The former FBI director has also admitted that the agency didn't corroborate much of the Christopher Steele dossier before it was used as evidence in a FISA warrant to spy on Trump campaign adviser Carter Page. Sunday's summary of the Mueller report noted quite clearly that Trump did not at any point collude with Russia. With that in mind, see below for perhaps my favorite response to Comey's existential tweet.